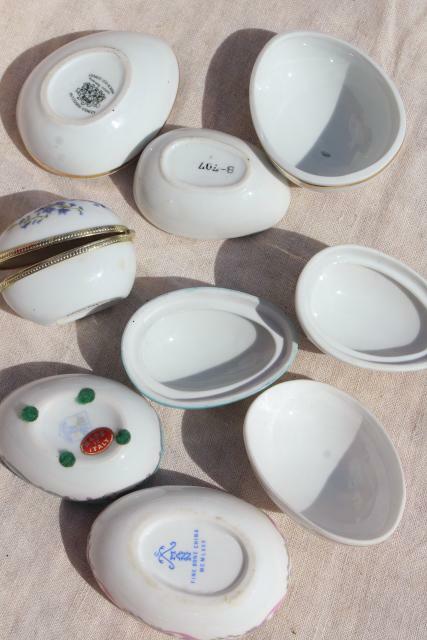 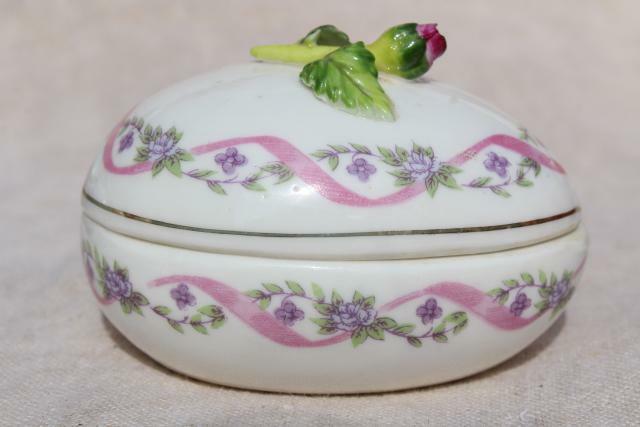 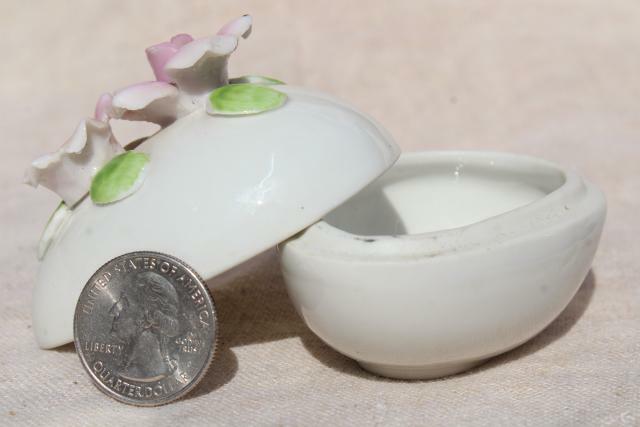 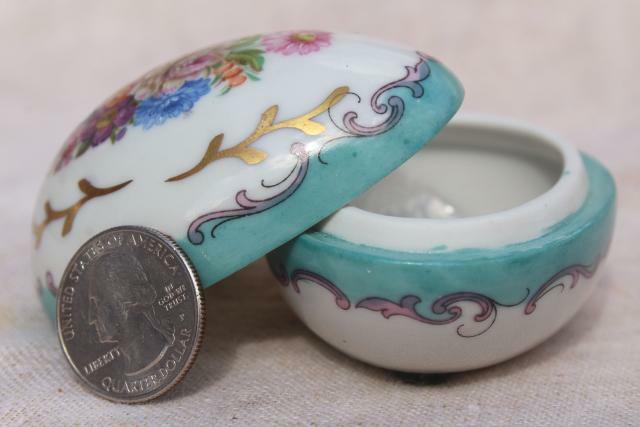 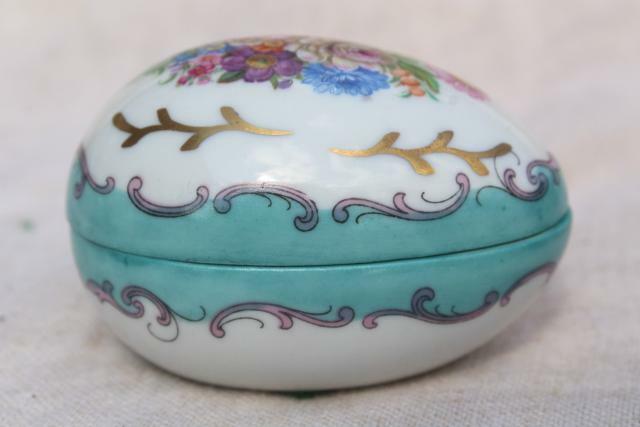 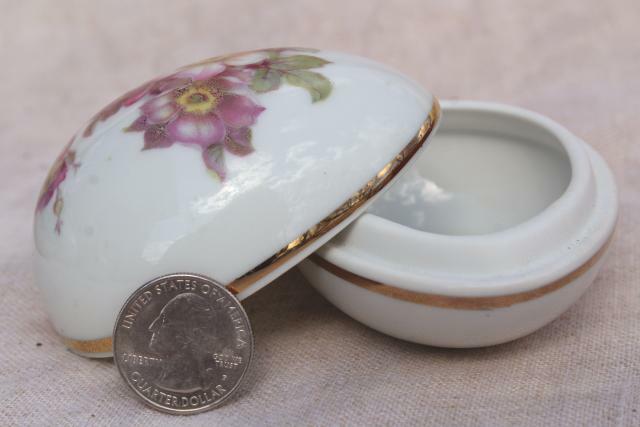 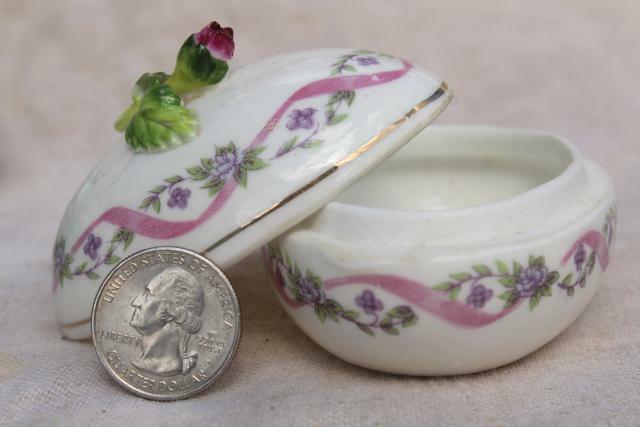 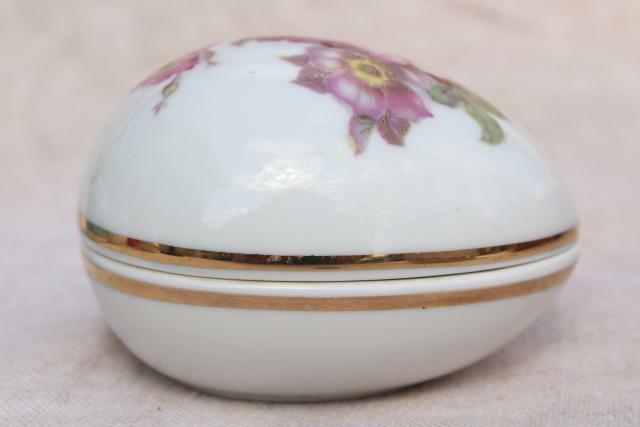 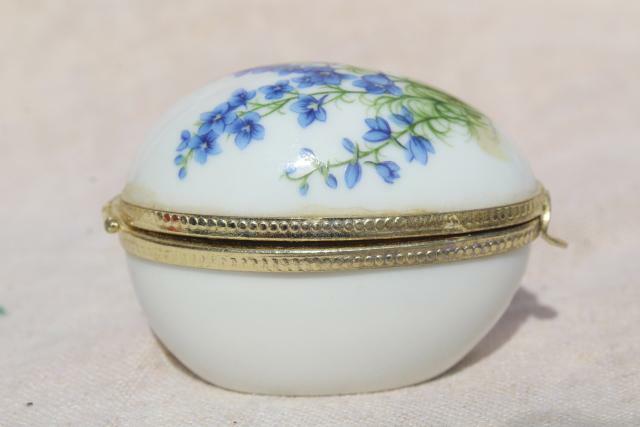 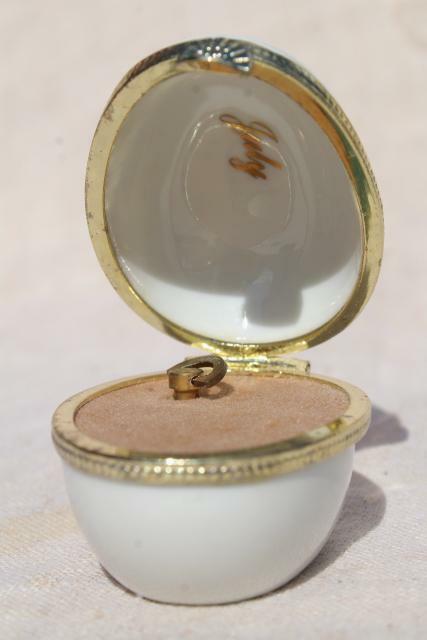 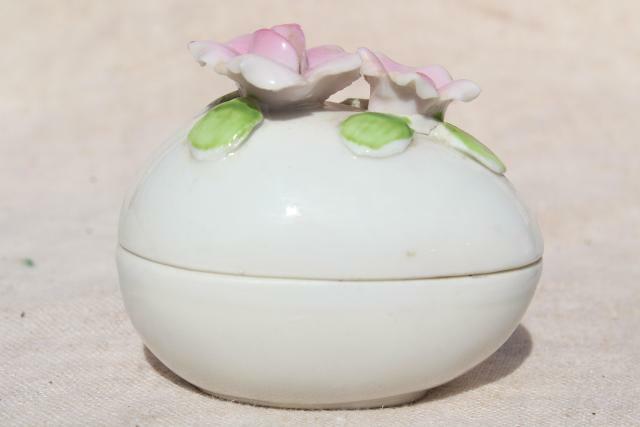 Collection of five vintage porcelain china egg trinket boxes 2 1/2" to 3 1/2" long (hen to goose egg size). 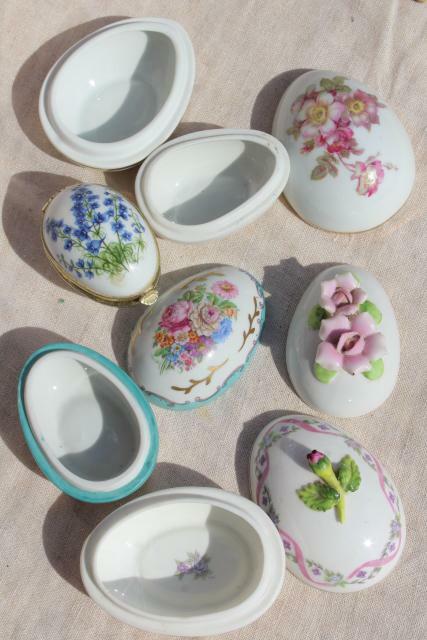 These are so pretty for your Easter baskets! 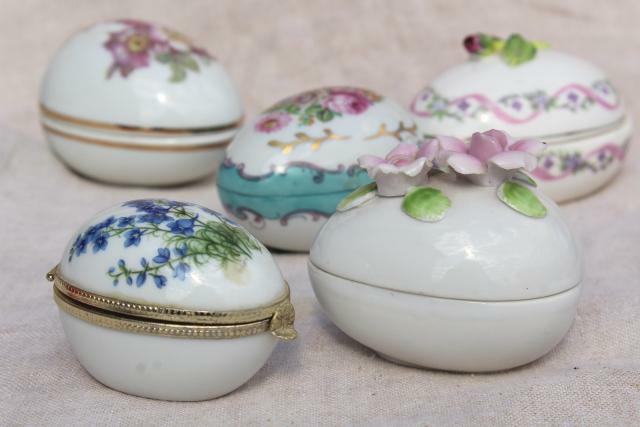 All five are in very good condition without damage.